Best wishes for a safe and successful 2014. 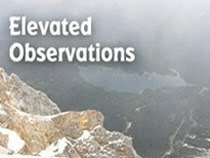 The Elvis Brothers once sang, “I got big ideas on my mind,” and the start of a new year is always the perfect time for people to present those ideas in the form of resolutions and plans. Here’s my second annual Big Ideas column; a mix of upcoming events regarding entertainers, and some cases, a suggestion of my own for them. 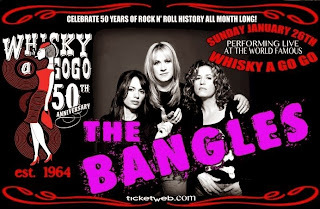 The Bangles The band will perform at the Whiskey A Go Go on January 26th as part of the famous West Hollywood club’s month-long celebration marking 50 years of presenting live rock and roll. 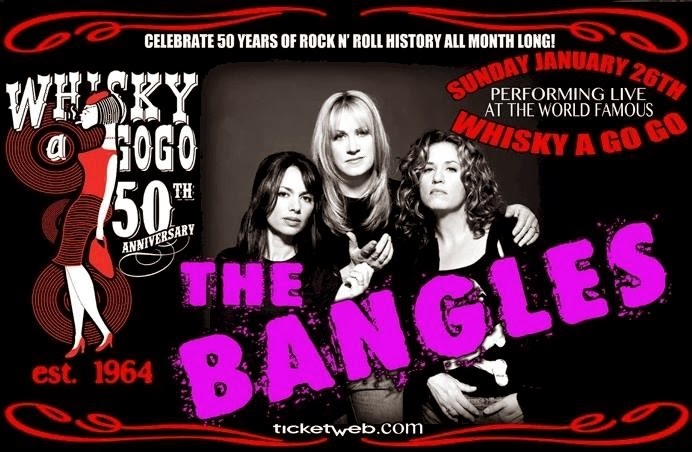 Suggestion: The Bangles are overdue for a boxed set with rarities and live tracks. It would also be nice to see them release a new CD, and a color vinyl 45 for Record Store Day. The Paisley Underground Reunion The Bangles, The Three O’Clock, Dream Syndicate, and Rain Parade joined forces for a few concerts on the West Coast in late 2013. Suggestion: Tour across the US, including a stop in Chicago. Record Store Day The annual celebration of vinyl arrives on the third Saturday in April, with loads of collectable one-day only releases from artists across the music industry. Previous years have seen rarities from Cheap Trick, The Animals, The Rolling Stones, Paul McCartney, Shoes, Pink Floyd, The Three O’Clock, and R.E.M. Dan Pavelich The musician/journalist/cartoonist/indie label honcho’s impressive resume includes performing with The Bradburys and putting out charity records like the Hi-Fi Christmas series and Christmas Without Cancer. He announced on Facebook that, “I’m going to start recording and releasing more of my own music” in 2014. The Handcuffs The four-woman/one man Chicago indie band lead by the husband and wife duo of drummer Brad Elvis and singer-guitarist Chloe F. Orwell, will release their fourth CD at some point this year. Magatha Trysty The Chicago band led by singer-keyboards player Catherine Louise and singer-guitarist Chris Bevard plans to release the follow-up to its impressive 2012 CD Your Clothes Will Wear Themselves in 2014. The first single, “Raygun,” gives reason to be optimistic. The Hollies The British Invasion band has never broken up. The current lineup, led by original members guitarist-vocalist Tony Hicks and drummer Bobby Elliott, continues to tour and has 2014 dates in Germany, Australia, New Zealand, Sweden, and Norway. Suggestion: Add the United States to this tour, and Chicago in particular. Susan Kaye Quinn She’s not only a member of my writers group and a former rocket scientist, Quinn continues to supply her self-publishing empire with her own adventurous efforts like The Mindjack Trilogy, Debt Collector Serial, Faery Swap and Third Daughter. Want to know how she does it? Pick up a copy of Quinn’s Indie Author Survival Guide on Amazon. Cherie Colyer The longtime member/co-leader of my writers group will have her Challenging Destiny novel out on Wild Rose Press in 2014. This will be her third published Young Adult/paranormal novel, following Embrace and Hold Tight. Kym Brunner A funny and imaginative person with a keen ear for how teenagers think and talk, this longtime member/co-leader of my writers group will have her Young Adult novels Wanted Dead Or In Love and One Smart Cookie published this year. The Abbeys The veteran Chicago power pop band will debut its newest lineup at the Red Line Tap on February 15th, and later, in April, when International Pop Overthrow returns to Chicago. Fest For Beatles Fans The annual celebration returns to New York for the first time in 30 years February 7th through the 9th in order to commemorate the 50th Anniversary of the first time The Beatles visited America. Guests will include The Smithereens, recreating the Beatles’ 1964 Washington, D.C.concert; Peter Asher; Donovan; Chad & Jeremy; Billy J. Kramer; Freda Kelly; and the Liverpool cover band; along with co-hosts/masters of ceremonies, comedian/producer Martin Lewis and radio personality Ken Dashow. Other plans include a replica of The Cavern Club, and a recreation of the ride from JFK Airport to the Ed Sullivan Theatre. Suggestion: Do as many of those things scheduled for New York at the Fest For Beatles Fans - Chicago. Obviously, they can’t duplicate the ride from JFK Airport, but The Smithereens’ concert and The Cavern replica? Most definitely! Phil Angotti Looks like the Chicago singer-writer and master of 1960s tribute shows will be channeling The Zombies again at FitzGerald’s on January 24th. Look for more tribute shows from him during year. Suggestion: Record a holiday CD where he imagines how various 1960s bands would sound singing Christmas carols, in much the same way the band The Fab Four does with The Beatles. If you have big plans for the upcoming months, please feel free to contact me here at Broken Hearted Toy.